Melanie and Wai are planning an elopement on a beach in Kauai this summer. Sounds miserable, doesn’t it? With four young children and a family already living as one for awhile now, their “get away” will be all about them. And it sounds absolutely perfect. Melanie wanted some professional photographs of the the two of them since they had never had them done before. 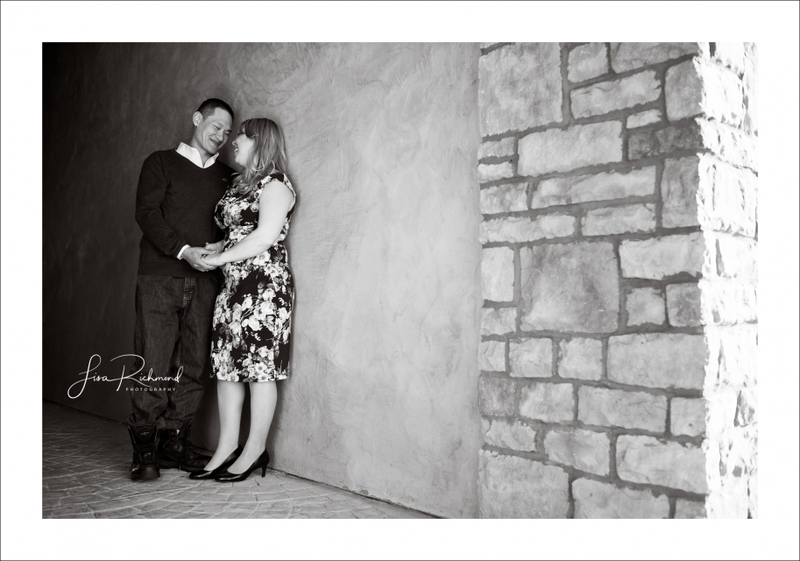 From my website , they chose El Dorado Hills Town Center as the backdrop for their engagement images. After a couple of emails back and forth to talk about wardrobe, she suggested to me that Wai might be a bit camera shy. Outgoing, but camera shy. I get that. Admittedly, it can be hard to just jump in to being the center of attention and in a public place while a photographer is moving around finding best light, angle etc, and interacting and playing to bring out the best in you- while you pretend nothing is out of the normal. But that’s what we do..and by “we” I mean people “photographers”. I enjoy creating a space for my clients to be comfortable and at ease in front of my camera- I truly do. This is EXACTLY why engagement sessions are such a great way to get to know each other outside of a wedding day. By the time the wedding rolls around…we are good to go. 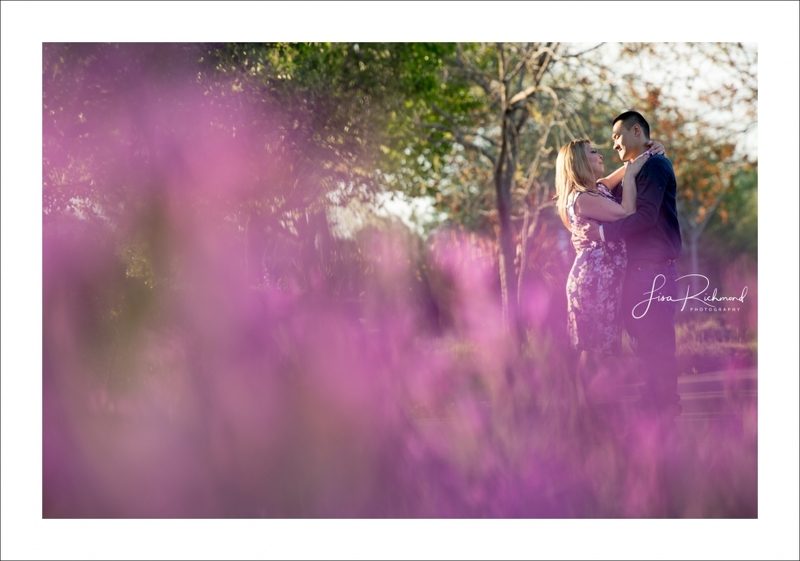 By the middle of the session we were all laughing and loving the gorgeous spring evening that we got to enjoy together- them as a couple in love and me as a photographer finding their love and light while making new friends. And Wai? He just kept looking into the eyes of his bride to be and all of that “shyness” dissipated in the golden sunshine. Next up, a beer on the patio at 36 Handles to end a very enjoyable evening. Thank you Melanie and Wai- here’s your sneak peak. Your complete gallery will be ready for you by Friday. My pleasure Melanie! Thank you. I loved getting to know you and Wai better! Thank you so much these have for a wonderful evening and yes a lifetime of memorable memory and thank you for capturing every breathtaking moment of that evening in the spring underneath the light.